We’re always on the go. From meetings to get-togethers to trying to go to the gym. We’re always looking to do it all. If you’re like us and always going places, you’ll need something to take along with you. This bag is just the thing for bringing all the gear you need to live your day to day life. And just the thing for doing it in the cutest style possible. A backpack lets you take your life with you. Might as well do it looking adorable. 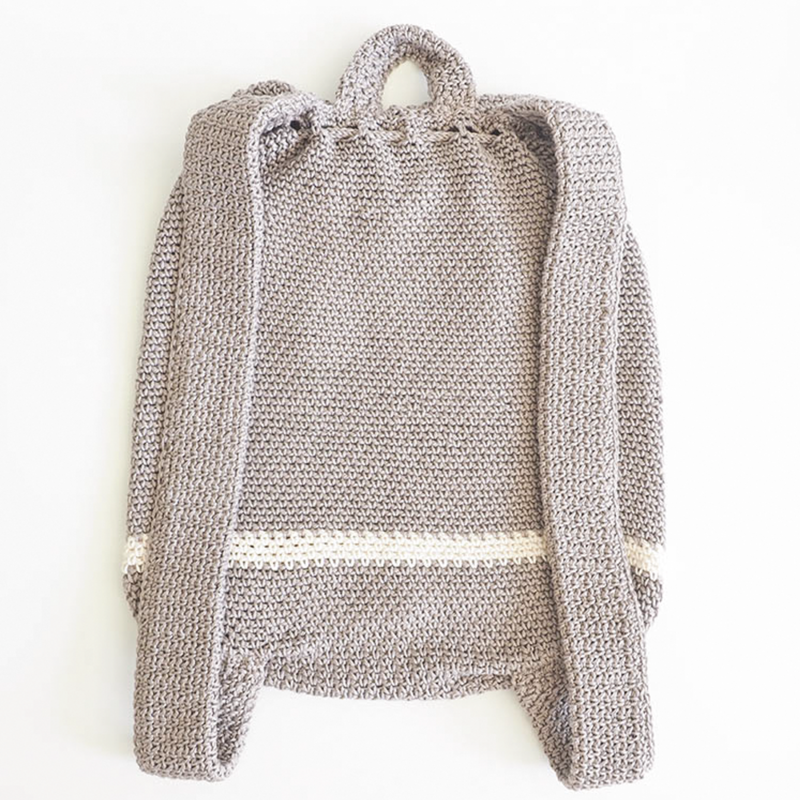 The moss stitch adds texture and detailing that makes your rucksack stand out from the crowd. Combine that with the color blocking details, and you’re all set to turn heads no matter where you’re going next. It’s your backpack of attack. 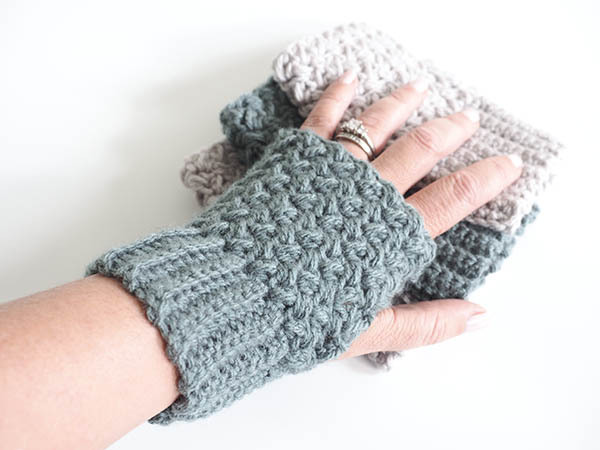 Get crocheting – choose three of your favorite complementary colors, and you’re ready to go. You even get to learn how to make drawstring ties so you can make sure all your valuables are nice and safe inside your rucksack. 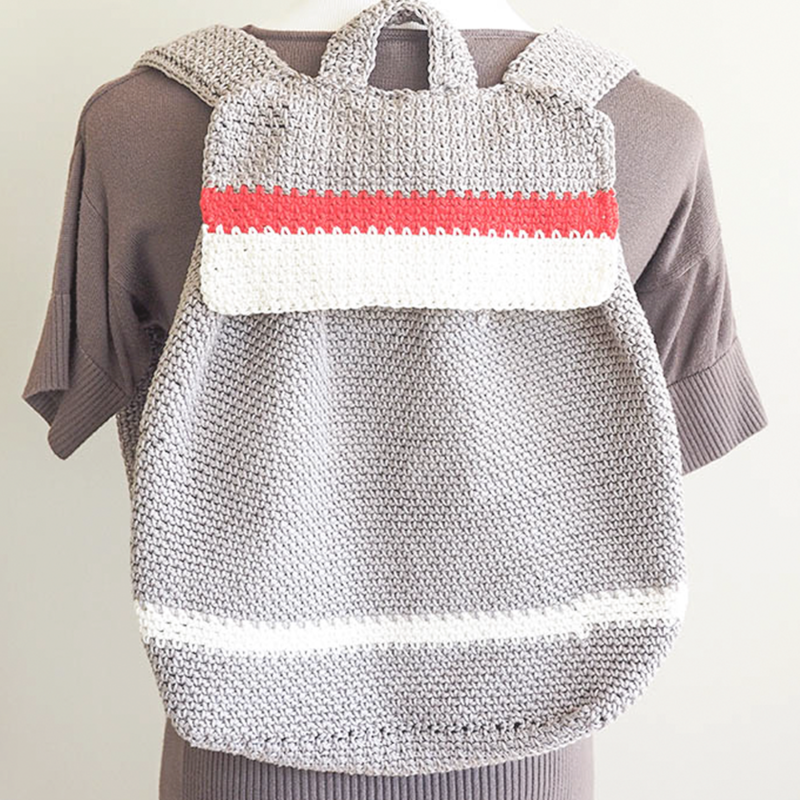 Get The Color Block Backpack Crochet Kit Here while it’s still available. Yarn: 4 skeins of Cascade Ultra Pima in Taupe, 1 skein of Cascade Ultra Pima in Natural, 1 skein of Cascade Ultra Pima in Lipstick Red. 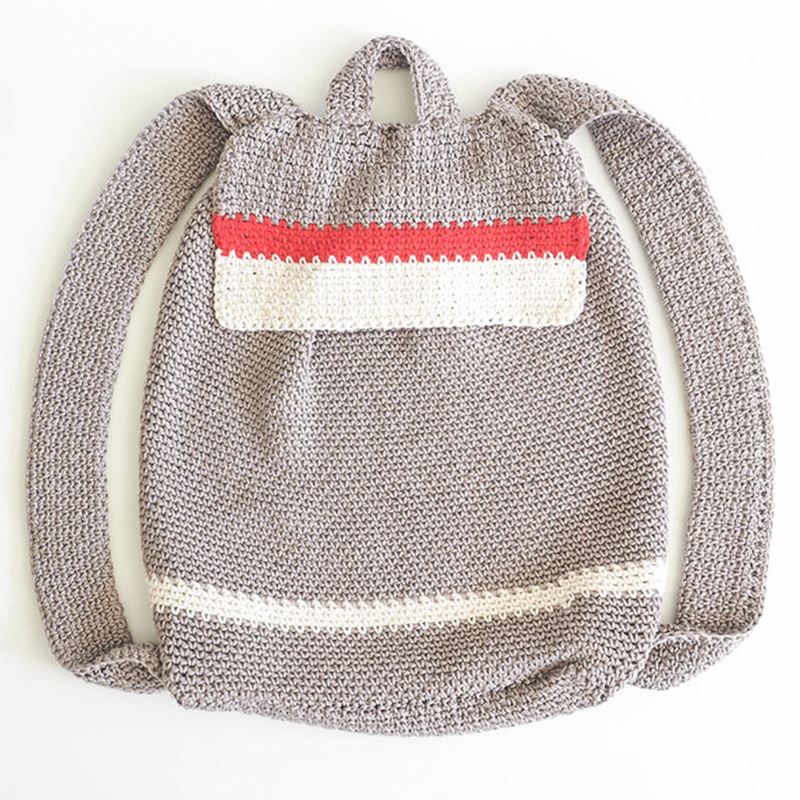 Get this yarn and the digital pattern in the color block backpack kit we put together here. Switching between appropriate colors, sc around edges of flap. Cut yarn and tie off. Sew flap onto the top of the bag. I lined it up by laying the bag flat and folding up the bottom so I could mark on the top of the bag where to place the flap. Fold in half widthwise and sc edges together, tie off and cut yarn. Line up the straps on the back of either side of the flap. Pin and sew on and repeat for the other ends of the strap. Fold in half widthwise and sc edges together, tie off and cut yarn. Sew handle on the back center of the flap with approx a 2.5” space in between each end of the handle. Ch 3. Insert hook into 2nd ch from hook, yarn over and draw up a loop, insert hook into next ch, yarn over and draw up a loop (3 loops on hook). Row 1: Drop 2 loops from hook. Hold onto the dropped loops with your non-hook hand so they don’t come undone. Yarn over and draw through remaining loop on hook. Insert hook into first dropped loop, yarn over and draw through (2 loops on hook). Insert hook into second dropped loop, yarn over and draw through (3 loops on hook). Repeat Row 1 until i-cord is approx 46” long. Cut yarn, leaving a long yarn end. Draw end through all 3 loops on hook and pull tight to fasten off. 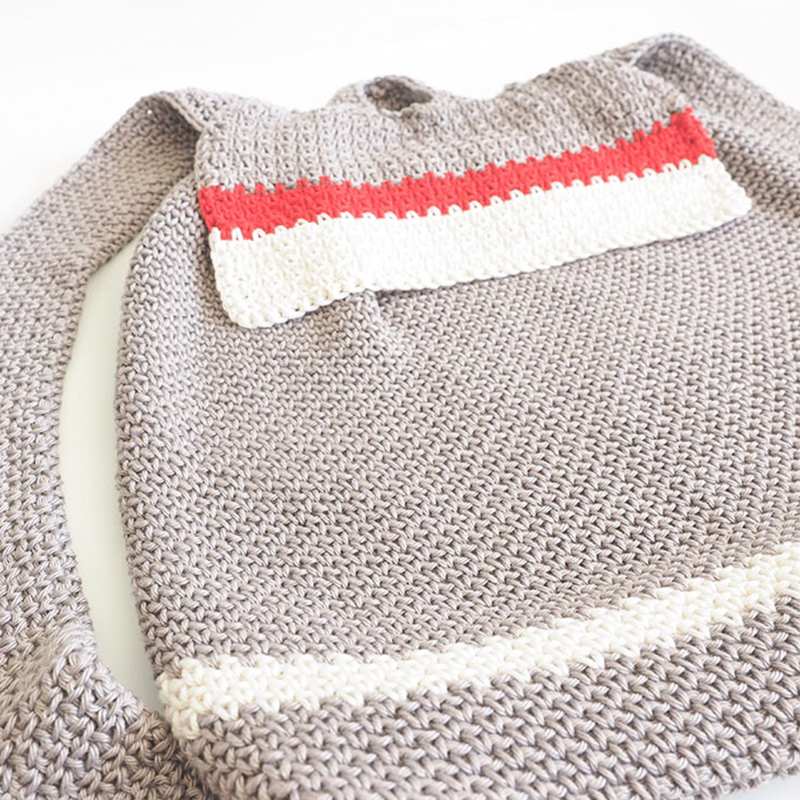 Weave cord through holes in the top of the bag. Sew in all ends. Getting a new backpack is exciting. Call us selfish, but we want to get to share some of that excitement with you. Once you’ve made your rucksack, snap a picture and send it on over to us. 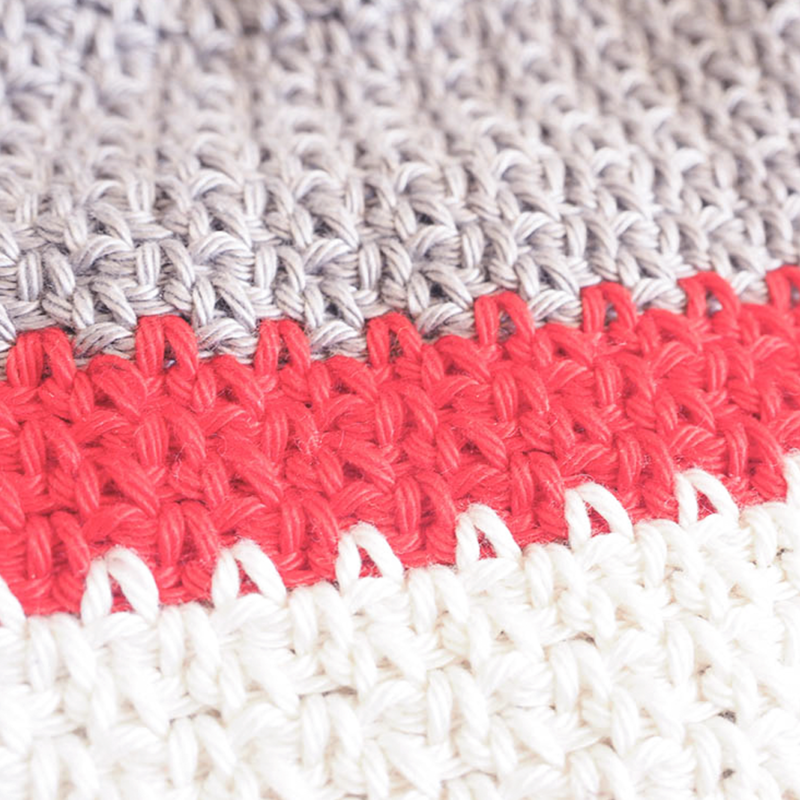 Seeing what you make is part of the reason why we got into the crocheting game. If you’re not sure where to get your yarn, head on over to Maker Drop. You’ll know exactly where you’re getting it from because each skein is locally sourced and supports small business. You can make a backpack using entirely materials sourced from your own front yard. Follow us on Instagram for our latest patterns and updates!